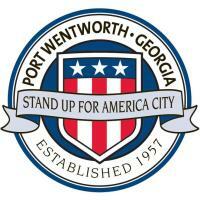 PORT WENTWORTH, GA – January 30, 2019 –The City of Port Wentworth’s government staff has outgrown its home and is moving to a more spacious building that is better suited for their purposes. Later this year, the city will open its administrative offices in the Renasant Bank building at 7224 Highway 21. Before serving as a Renasant branch, the building held Citizens Bank. It was built around 2005-06, according to City Manager Phil Jones. Renasant is scheduled relocate its operations on April 1 to a new development in Rice Hope. Once the city moves into its new digs, the building will house all administrative operations, the mayor’s office, human resources, finance department, city clerk, and public services, where residents will be able to pay water and sewer bills. The Port Wentworth City Council will also meet in the building. In the meantime, the government is still working out of the current city hall at 305 S. Coastal Highway. Renasant Bank will be located about 1 mile north of its current location in The Shops at Rice Hope, 2 Magnolia Blvd, located on Highway 21. To serve customers’ needs, it will have three full-time tellers, personal bankers and a branch manager on the premises. The new location, which will be approximately 2,400 square feet, is between the current Renasant Bank and the Publix shopping center. The bank will, however, leave its ATM in place at the building it will soon vacate. When that structure becomes City Hall, visitors will still be able to use the ATM, which is slated for an upgrade.